As we wrote last week, we were in England, on a bit of a pilgrimage. We followed Darwin's footsteps in Malvern, but that was a rather opportunistic pilgrimage, though happily so, (and described here). 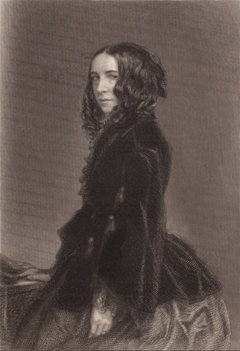 But our primary goal was to find several of the places that were important to the Victorian poet Elizabeth Barrett Browning when she was young. One was Hope End, the estate where she lived from age 3 to 25. Her father made his money by managing sugar plantations in Jamaica, and he had plenty of it. He built a very large house on a 200 or so acre estate near the Malvern Hills, and brought his growing family to live there in 1809. Eccentric this house was by all accounts, with Turkish minarets and other such out-of-place characteristics, but EBB loved it. As a child she rode her pony through the woods, and down the lanes that stretched to Ledbury and Great Malvern, and beyond. She and her beloved brother Edward spent many many happy hours running up and down the hills behind the house, until at age 12 or so her aunt scolded her for playing too rough. But, when Elizabeth reached puberty she experienced the first extended episode of an illness from which she suffered all her life, but that her doctors never were able to diagnose, to their and EBB's great frustration -- and her readers and EBB scholars have tried to puzzle it out ever since. Apocryphally, it was said that she fell from her horse at age 15 and injured her spine, but she always insisted that that had nothing to do with her illness. Recent scholars have suggested that she had anorexia, or TB, neurasthenia, pertussis, an encephalomyelitis, non-paralytic poliomyelitis, paralytic scoliosis, or opium addiction or a mental illness including anxiety and agoraphobia. At least one biographer has suggested that ‘escape into illness’ was her way of dealing with the frustration of being an intelligent woman in Victorian England or a reaction to the exceptional sternness of her widowed, religiously strict father. She was also described simply as a malingerer. She was sent to a spa in Gloucester for a year during her teens, to recover, and she was better at some times than others, but she was never truly well for any length of time again. While we will never know for certain, I think that she may have been suffering from a rare and elusive muscle disease called hypokalemic periodic paralysis (HKPP). It's an ion channel disorder, marked by a deficit of potassium, and involving episodes of weakness or frank paralysis with numerous triggers including heat, cold, exercise, rest after exercise, carbohydrates, salt, temperature change, and change of seasons. Causative mutations have been identified in three ion channel genes, but they explain only a minority of cases. And the disorder can run in families or it can be sporadic. And, age of onset at puberty is classic. EBB's father lost much of his fortune when she was 25, and so he sold her beloved Hope End and moved the family to London. Elizabeth was particularly unwell during the move, suffering from weakness and palpitations of the heart, her usual symptoms, and as usual her doctors had no idea how to treat her. They had started her on opium in her teens, and she took it the rest of her life, and they now started her on Digitalis for her heart. Unfortunately this drug made her weak. 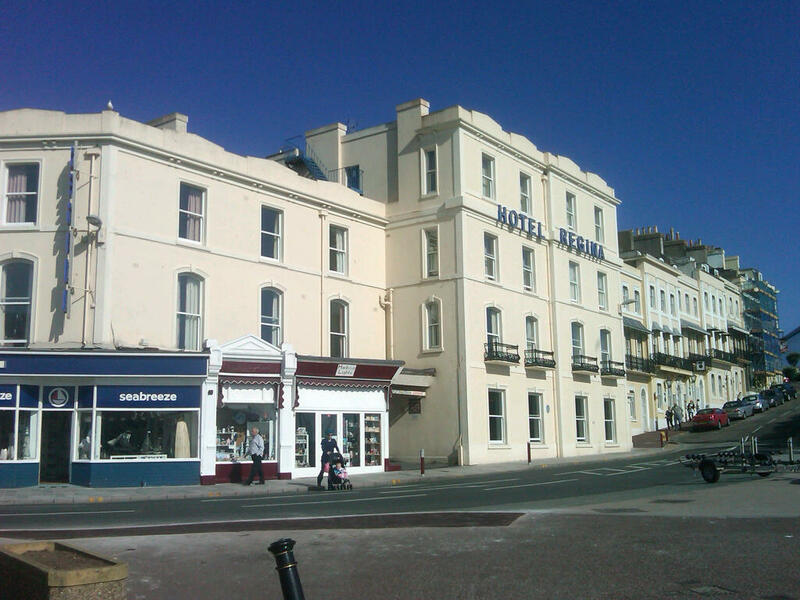 Her doctors recommended that she leave London not long after the move, which was not good for her health, so her father sent her to the seaside to recuperate. 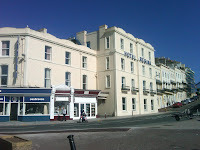 She spent three years in the Hotel Regina in Torquay, on the coast of Devon, where she suffered the most devastating heartbreak of her life when her brother, Edward, was drowned in a sailing accident. She was desperate to leave Torquay after the accident, but too unwell. Her doctors cautioned the trip would surely kill her. She eventually decided that she would bear the consequences and traveled back to London, where she spent more years in her room at 50 Wimpole St, not leaving the house, and often not even well enough to leave her couch. But she continued to write and publish poetry, which came to the notice of the poet Robert Browning. He wrote to her, and eventually prevailed upon her to allow him to visit her. They quickly fell in love, as detailed in the beautiful and deeply emotional letters they sent to each other throughout 1845 and 6. But Elizabeth's father wouldn't allow any of his children to marry, and Elizabeth herself told Robert she didn't want to burden him with an invalid. But when EBB's father announced that he was moving the family to the country for a month, they realized they couldn't bear to be parted, so they married in secret and ran away to Italy where they lived until Elizabeth died, in 1861. Elizabeth was much healthier and happier in Italy than she had been since she fell ill. She had spent years in her room, writing poetry, many many letters, and expecting to die. But she was never truly healthy, and she often wrote of her illness in her letters. It's in these letters, and the diary that she kept at age 25, that I found the clues to her disorder. I wanted to write to you very very soon in reply to your last welcome note. I wanted to say to you very soon some words which it suggested. But I have been exceedingly unwell—confined to my bed nearly a week by a sudden return of bad symptoms and so weak since as scarcely to bear without fainting even the passive fatigue of being carried from this bed to the sofa down stairs, by all the gentleness of my brother’s love for me. The prevalency of the east wind and sudden coldness of weather connected with it, are considered the causes of the attack. And so on. But, many others have read these same documents and none has reached the same diagnosis as mine. The explanation for this is easy -- HKPP is rare, and the diagnosis is frequently missed even today, but we've got the disorder in our family, so I read EBB's words through a lens not shared by most readers, that of knowing the nature of the disease, and the profound and disabling weakness it can cause. I should add that my diagnosis has been confirmed by two neurologists and two cell biologists. It's pretty obvious when you know what you're looking for. This has been a fascinating exercise, and not in small part because it is a stark reminder that we can only see what we are prepared to see. EBB scholars, who know much much more about the poet than I, haven't deciphered what has jumped out of the page at me because they don't know HKPP. This is a sleuthing quest for me, but it's relevant to MT, because it is a combination of attempts to infer biological causation by combining circumstantial, informal evidence from the past with modern science. In the case of HKPP, several ion-channel genes are known, a couple of which appear to be causal for HKPP. But as with so many traits, most cases do not manifest changes in these genes, phenotypes are highly variable, so that even the name (HKPP) masks complexity. In this case, retro-sleuthing is not about evolutionary fitness or long-term evolution, but even with direct first-person evidence, causal inference is a serious challenge. Any conclusions about specific past incidences, as in EBB's case, are conjectural -- and will remain so even if modern genetic methods identify the basis of most cases. But even then, inferring fitness effects, and hence the effects of evolution on the relevant genes, is problematic-squared: even the persistently ill EBB bore a child. As with many attempts to delve into the biological past, however, the delving is what makes it interesting. Thanks, Holly. Yes, it has been a fascinating project.